One 14 karat yellow gold Victorian memorium locket pendant. 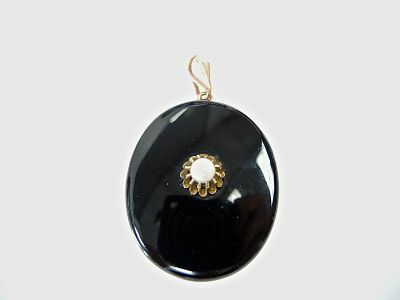 One oval onyx piece. One half pearl. 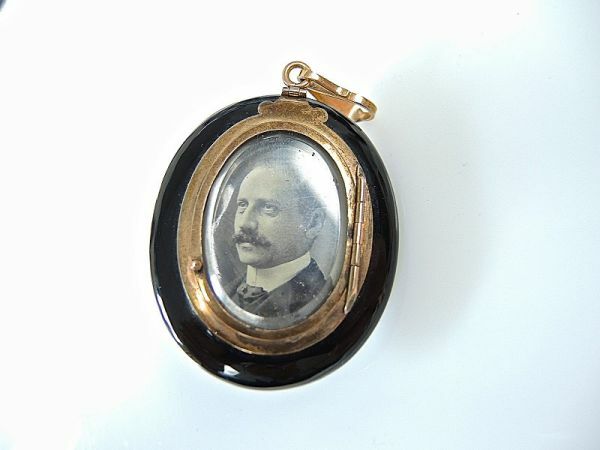 The reverse depicts a rose gold frame window with a photograph of a gentleman.